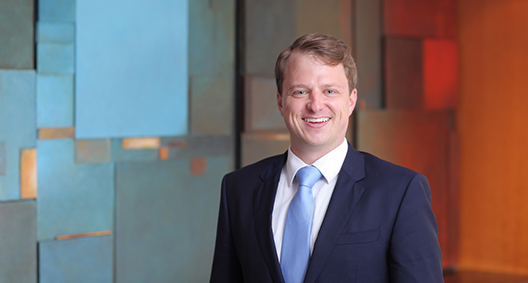 Kyle Fath concentrates his practice on Technology Transactions and Privacy and Data Protection. Utilizing his deep experience in information technology (IT) and intellectual property (IP) agreements, Kyle drafts and negotiates various contracts, including cloud, SaaS, platform usage, advertising technologies, IP licenses, website and mobile app development, content creation, and online terms of service and privacy policies. Having experience representing both vendors and customers alike, he regularly drafts and negotiates agreements for a diverse clientele spanning a variety of industry and technology verticals of all sizes, from Fortune 500 organizations to technology startups. In addition, Kyle works closely alongside our corporate and M&A attorneys to help close deals. In this role, he drafts and negotiates IT, IP and data privacy provisions of agreements, provides due diligence, and assesses and advises on the risks related to IT, IP, and data assets involved in stock and asset purchases, mergers, and other transactions. Kyle’s practice further includes serving as product and privacy counsel to digital media, AdTech, e-commerce and other tech companies. In this capacity, Kyle works with companies’ interdisciplinary teams (e.g., product, engineering, sales), as well as their in-house attorneys and senior management, to proactively address and mitigate the risks arising out of day-to-day operations and long-term strategic plans, including relationships with vendors and customers, collection and usage of data, and the changing legal, regulatory, and technology landscapes. He additionally advises on IP issues, regulatory risks, and privacy compliance, including the California Consumer Privacy Act (CCPA) and the European Union’s General Data Protection Regulation (GDPR). Developed numerous online terms of service, end-user license agreements, terms of sale/subscription, and privacy policies for a variety of clients, including an educational technology and content provider, high-end retail company, a digital media publisher and various mobile app developers. Counseled companies on consent mechanisms and regulatory compliance in connection with tracking consumers using cookies and other technologies for online behavioral advertising and other purposes. Drafted and negotiated various agreements for a variety of clients, including a leading podcast producer, a Fortune 400 energy company, a top accounting and consultancy firm, and an emerging company offering a mobile application and online platform for cannabis brands and dispensaries. Drafted and negotiated various agreements on behalf of, and provided counsel on the interplay of state and federal regulation of cannabis to client offering online platform for cannabis brands and dispensaries. Advised on IP, IT and data privacy issues, and performed due diligence on M&A, financing and other transactions for clients in software, financial services, digital media, EdTech and other industries. Counseled liquor brand on legal issues in M&A transaction related to its use of a famous bootlegger’s name, photograph and likeness. Counseled numerous clients regarding the risks of open source and copyleft software code generally and during sale and acquisition of technology assets. For global retail client, negotiated contract between global retailer and social media influencer and advised EU counsel on U.S. regulation of product endorsement by social media influencers. Drafted and negotiated numerous content creation agreements, and IP licenses and assignments for podcasts, websites and other media. Counseled clients on compliance with federal and state anti-spam laws, and other laws and regulations related to contacting and/or marketing to consumers, including CAN-SPAM and the Telephone Consumer Protection Act (TCPA). Advised mobile app developer client on the legal and reputational risks of changing its service levels, data collection or other features in view of contract terms with customers or partners. On behalf of an IoT developer client, drafted and negotiated customer, reseller, value-added reseller and original equipment manufacturer agreements relating to a white label IoT platform of an Internet of Things developer.